2019 Scholarships Applications Are Now Closed. Please check back in January of 2020. 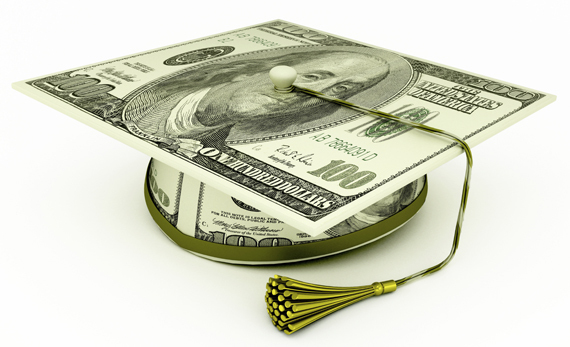 To find the scholarship you are eligible for, select the link to your high school. If your school is not listed, select the link for scholarship opportunities for ALL Berrien County Students. There are also scholarships available for Adult/Returning/Non-traditional and Returning Students as well as opportunities for students outside of Berrien County. Please submit your application on regular copy paper, SINGLE sided, NO staples. Check out our Scholarship Application Tips by clicking HERE. ALL students MUST submit a copy of their FAFSA determination letter/email including their EFC with their application. Please scroll down to find applications. This is a renewable scholarship for up to $2,500 for a graduating senior who has participated in All God’s Children for at least two years and meets all other requirements. It was established in 2016. This scholarship was established by the family of F.A. Mason Penwell to provide a nursing education to those who aspire to help others. This is a non-renewable scholarship for up to $1,000 for a graduating senior who has volunteered at the Curious Kids' Museum for a total of at least 10 hours from 8th grade to junior year and meets all other requirements. It was established in loving memory of Arlene, who passed away in May of 2005. Arlene felt great satisfaction seeing her grandchildren challenge their brains and have fun at the museum. This is a non-renewable scholarship for up to $1,000 for graduating seniors who are pursuing a Bachelor’s degree in the Arts and meet all other requirements. It was established by David’s family to celebrate his life, fight with cancer, and love for the Arts. This is a non-renewable scholarship for up to $3,000 for graduating seniors who demonstrate financial need, community service and are planning to attend a 4-year college/university in Michigan. Preference may be given to students who will attend small or private institutions. This is a scholarship for up to $5,000 awarded over four years for graduating seniors who are pursuing a degree in engineering or another technical discipline and meet all other requirements. It was established to encourage students who do not already have an immediate family member working at AEP. This is a renewable scholarship for up to $1,000 for graduating seniors pursing a Bachelor's degree in Journalism and meet all other requirements. It was established to encourage students with financial need planning to attend an accredited school in Michigan, Indiana, or Illinois. This scholarship was established by Traci and Eric Stoub and their daughter Callahan Stoub to reward students who have worked while going to school over three summers and/or throughout the school year. Preference is given to students who may be unable to receive need-based financial aid but can still demonstrate a need for financial help to get through college. This is a non-renewable scholarship for up to $1,000 for a graduating high school senior or current college student attending Southwestern Michigan College or Lake Michigan College. The ideal candidate will have demonstrated a commitment to raising awareness for human trafficking. Students must be either currently attending or planning to attend Southwestern Michigan College or Lake Michigan College and have a GPA that meets the requirements of their degree program and provide evidence of financial need. This is a renewable scholarship of up to $1,500 for a graduating high school senior of Berrien County who shows financial need and demonstrates community service. Students must have a 2.5 or higher GPA and be involved in volunteer activities. This is a renewable scholarship for up to $3,000 for Hartford High School graduating seniors or Hartford High School graduates who are returning to school after a significant gap and meet all other requirements. It was established to provide educational opportunities to Hartford High School graduates. This is a non-renewable scholarship for up to $5,000 for women who are part or full-time in their undergraduate studies who demonstrate financial need and meet all other requirements. It is meant to support women in transition who are returning to college as adults. It was established by Ed and Jeanne Dunn in Jeanne’s memory. This is a non-renewable up to $5,000 scholarship for women who are part or full-time in their undergraduate studies who demonstrate financial need and meet all other requirements. It was established by Judy Felland to assist women in transition. This is a non-renewable scholarship for up to $3,000 for current college students working toward their bachelors degree or graduating high school seniors who demonstrate financial need, community service and are planning to attend a 4-year college/university in Michigan. Preference may be given to students who will attend small or private institutions. This is a non-renewable up to $2,000 scholarship for current college students pursuing a degree in instrumental music and meet all other requirements. It was established by John and Dede Howard to show their support for students pursuing their love in instrumental music. This is a non-renewable scholarship for up to $1,000 scholarship for current year high school seniors and current college students who graduated from Coloma High School who will participate in marching band in college. It was established in 2017. This is a non-renewable up to $1,000 scholarship for graduating seniors who show interest in volunteer and community activities as well as plan on attending a 2 or 4 year college or university, or a vocational or technical institute. It was established by Bryce to encourage students to look outside the typical college career path. This is a renewable scholarship for graduating seniors who have participated in high school football and meet all other requirements. It was established to encourage success in further education. This is a non-renewable up to $1,000 scholarship for graduating seniors who meet all requirements. It was established to provide deserving students with educational opportunities. This is an up to $5,000 scholarship awarded over four years for graduating seniors who are pursuing a degree in engineering or another technical discipline and meet all other requirements. It was established to encourage students who do not already have an immediate family member working at AEP. This is a renewable scholarship for up to $1,000 for graduating seniors pursuing a Bachelor's degree in Journalism and meet all other requirements. It was established to encourage students with financial need planning to attend an accredited school in Michigan, Indiana, or Illinois. This is a non-renewable scholarship for up to $3,000 for graduating seniors who demonstrate financial need, community service and are planning to attend a 4-year college/university in Michigan . Preference may be given to students who will attend small or private institutions. This is a renewable up to $1,000 scholarship for graduating seniors who exemplify leadership skills, volunteer/community involvement, and meet all other requirements. It was established to encourage student volunteerism. This is a non-renewable scholarship for graduating students who are members of the National Honors Society, pursuing a degree in business, and meet all other requirements. It was established by former high school teacher Ms. Bender to provide educational opportunities for honor students. This is a non-renewable up to $1,000 scholarship for graduating seniors who exemplify the traits of an EAGLE – education, athletics, good citizenship, leadership, excellence, and meet all other requirements. It was established by Dr. Jeffrey Demko and Margaret Mills to honor Jeffrey. This is a non-renewable scholarship for up to $1,000 for current year high school seniors and current college students who graduated from Coloma High School who will participate in marching band in college. It was established in 2017. This is a non-renewable scholarship for up to $1,000 for graduating seniors who show educational promise, exhibit all-around accomplishments, and meet all other requirements. It was established in 1988, to enhance post-secondary education. This is a renewable up to $3,000 scholarship for graduating high school seniors who are graduating from Hartford High School and meet all other requirements. It was established to provide educational opportunities to Hartford High School graduates. This is a renewable up to $1,000 scholarship for graduating seniors with a career goal in elementary or special education, nursing, or occupational therapy and meet all other requirements. It was established by Miss O to honor deserving students. This is a non-renewable up to $2,500 scholarship for graduating seniors who have financial need, demonstrate good citizenship, and meet all other requirements. It was established by Sondra and Kenneth Kaminski to give back to the community. This is a renewable scholarship for up to $2,500 for graduating seniors planning to attend a Big Ten caliber school, demonstrate high personal expectation, and meet all other requirements. It was established by David and Lisa Drews to honor David’s parents. This is a non-renewable up to $1,000 scholarship for Lakeshore High School graduating seniors who demonstrate community involvement and meet all other requirements. It was established by Charles and Nancy Gargano in loving memory of their son who battled cancer and constantly reminded them to not forget the children. This is a non-renewable up to $1,000 scholarship for graduating seniors who are pursuing a degree in elementary education and meet all other requirements. It was established in memory of Lora who was a former teacher at Roosevelt Elementary. This is a non-renewable up to $1,000 scholarship for graduating seniors planning on attending Lake Michigan College then transferring to a technical degree program or the University of Michigan and meet all other requirements. It was established by the Welch family to encourage good character and a determination to succeed. This is a renewable up to $1,000 scholarship for graduating seniors who are involved in community and volunteer opportunities as well as meet all other requirements. It was established in loving memory of Terrence who loved his community of New Buffalo. This is a renewable scholarship of up to $1,000 for a graduating high school senior of Berrien County who shows financial need and demonstrates community service. Students must have a 2.5 or higher GPA and be involved in volunteer activities. The Frederick S. Upton Foundation Opportunity Scholarship This is a non-renewable scholarship for up to $3,000 for graduating seniors who demonstrate financial need, community service and are planning to attend a 4-year college/university in Michigan . Preference may be given to students who will attend small or private institutions. This is a renewable scholarship for up to $1,000 each year for two years. Ideal candidates will be graduating seniors of Watervliet High School who have high moral character, community involvement, and meet all other requirements. It was established by Thomas and Pamela Leonard to honor Pam’s parents.